“Picture if you will (voice of Rod Serling, roll Twilight Zone music theme) “ Bradley Smith Ph.D., lying on the floor of my apartment, flashlight in mouth, DVM probes in hand, poking around in the powered-up innards of the Kronzilla while listening to designer Marek Gencev, 6000 miles away, walking him through the power supply schematic of the broken amplifier. Kronzilla arrived with its stout wooden crate smashed at one end by the friendly folks at UPS. There was some slight damage to the metal work of the case and the unit wouldn’t power up. Dr. Smith, an accomplished tube amp designer himself and designated service guy for KR in North America, drove down from Detroit to get the beast working. After ruling out bad tubes, he dialed up Marek in Prague and the two experts proceeded to track down a dead chip. The following week, Bradley came back with the new part, installed it and there was music. No doubt, with a reviewer to please, some extra effort was made; but I got the impression that this was the type of service KR would provide to any of their customers. Of course, I doubt the good doctor would make a house call if you live in Tallahassee or Eugene; but the level of concern exhibited by owner Eunice Kron and designer Marek Gencev would be the same. A downside to the brouhaha over the repairs meant that, instead of 4 to 6 weeks, I only was able to audition the amp for 2. On the plus side, the amplifier was already broken-in, but the tubes were new and needed some time to perform properly. Consequently, my impressions are based on much less formal listening than I usually do. On the other hand, the Kronzilla SXI makes such a strong impression that even a single listening session leaves no doubt as to its overall character. From first grunt, as you lift the 100+ pound chassis out of its crate, you know this is a serious piece of equipment. None of that weight derives from a thick decorative faceplate or fancy transformer-cover do-dads. You can tell from the photo that the transformers are housed in an attractively shaped enclosure but that, and the rest of the well-crafted chassis, are simply heavy gauge metal with a purpose. As was the case with the VA340 integrated SET amplifier, the front panel has a set of LEDs to display which input is selected, a volume control knob and another LED to indicate standby (red) or ready (green). 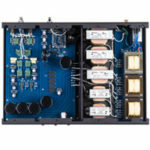 On the back, there are 4 single-ended inputs, jumpers to allow use as a power amplifier alone, speaker terminals, an IEC power jack and an enclosed switching arrangement for 120 or 240 volt mains. A small remote control selects volume and input. Just 2 tubes need to be fitted to the amplifier, but what tubes they are! 14” tall by 4” in diameter, these are the largest used for audio that I’m aware of. I’ve heard that they trace their lineage to military radio sets of the 1940s but, according to Eunice Kron, they were developed by her late husband Ricardo, in a joint venture with an American electronics company for a project that was never completed. These T-1610 output tubes now power a range of 5 different amplifiers in the KR Audio line. 2 tubes only, because Marek Gencev believes that the input stages of his amplifiers are well-served by solid-state devices in terms of reliability and cost. 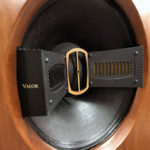 The T-1610s are left to serve the single-ended, Class “A”, zero-negative feedback, 50-watt output of the amplifier. In this picture taken from the Integrated Publishing Electrical Engineering Training site (damn, I love Google), you see that an alternating current waveform has both positive, above the line and negative, below the line, energy. The class-A circuit has output in the entire 360 degrees of the wave, constantly drawing current while the other classes are powered only during portions of the wave cycle. More current to achieve the same output means lower efficiency, lower efficiency creates more wasted energy in the form of heat but a purer, lower distortion signal. The huge-mongous 1610 output tubes generate a lot of heat which will tax your air conditioning in Summer, but give back by helping to keep the listening room toasty warm in the Winter! I put hours on the new tubes by connecting the Marantz 8001 SACD player to an input and placing an 8-ohm load across the speaker terminals for about 50 hours, running the amplifier in 2 and 3 hour sessions then powering it down. Once that was done, I added my Technics/Micro-Ace LP rig and connected the outputs to the $50,000, XLH REF-1812 speakers. Just a day or two prior to this, I had acquired, after quite a search, the Columbia recording of George Szell and the Cleveland Orchestra performing the Janacek Sinfonietta and Bartok Concerto For Orchestra. That was the first record to go into play. Now, Columbia is known for some overly bright recordings from the late Fifties and early Sixties and this is no exception. My first listen was done with my Ariston/Dynavector 10×5 rig through the single-ended 45 amp I built. The opening trumpet was shrill to the point of being unlistenable, and a major reason I quickly put the Ariston and Dynavector up for sale. With the Technics/Benz combination the sound was quite good, just as I remembered from having owned this album years ago. With the SXI amplifier, the sound went from good to great, the best I’ve heard Bernard Adelstein’s trumpet outside of Severance Hall. The SXI didn’t darken the sound, the recording still exhibited a bit too much treble brightness, but the gorgeous sonority Mr. Adelstein was world-renowned for shone through. This is such a lovely work and one of my all-time favorites having played it myself with several excellent amateur orchestras. With Cleveland’s own Suburban Symphony, we had a trumpet player, a lawyer named ‘Taffy” Wakser who had tone almost to the standard of Adelstein. I actually can’t recall what album I was playing when I was struck by the sound of electric bass strings being plucked rather than just their result. Usually, hearing the notes and avoiding ‘one-note bass’ is good enough for most amplifiers and speakers. 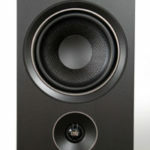 The XLH 1812 speakers are far above ‘good enough’ with their 18” JBL woofers but, for the first time, I was hearing the tactile sense and vibration of the strings on even the lowest bass notes. Neither the VA-340 nor the Accuphase E-450 could do that. There’s another dimension of reality in that. So I went after that sound to find out if it was the recording or my mood. Putting the soundtrack of Oh Brother, Where Art Thou on the SACD player, I felt the hammer blows of the intro and could imagine rock chips flying off the hammers. The Kronzilla produces by far the most ‘live’ low bass I’ve ever heard. There is texture usually associated only with great mid-range. Last March, I wrote a review of the 47 Lab MC Bee cartridge & Shiragaki Phono stage that discussed, in great detail, the exacting process of setting up a phono cartridge. That discussion was driven by the tendency of female voices in my system, especially Allison Krauss and Emmy Lou Harris, to become edgy in the upper treble. Correct alignment of the then Ariston/Dynavector eased, but did not erase that tendency. The Technics/Micro-Ace made those passages really enjoyable. The addition of the SXI, however, added beauty to those voices with the upper treble just as rich as one would hear from a wonderful mid-range. Words like ‘beauty’, ‘luscious’ and ‘sonority’ shouldn’t lead one to believe that the Kronzilla XSI is a syrupy, golden sounding amplifier. The textures are rich, and the timbres spatially correct; but there is definition, there is attack and transient sounds. The strike and decay of cymbals for instance, are sharp and clear. This is a big amplifier with a big sound. A single-ended triode with 50 watts output at less than 3% distortion is a remarkable achievement. I’ll proof read this and probably find that there is ‘gushing’ in places, but I’ll make no apologies. With one exception thus far, all of the equipment allocated to me for reviewing has sounded good, which is the norm in this business. I suppose that’s why critics of the review process harp about “never reading a negative review”. Well, it’s true. There’s something to like about most any component. Most have few flaws and generally, none fatal. 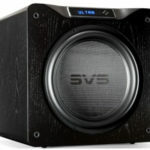 The Kronzilla SXI could have perhaps an ‘airier’ soundstage and, every now and then, its “big” sound doesn’t quite have the nimbleness of a ‘quicker’ amplifier. However, the only reason I’m aware of these very minor quibbles is that I now have on hand a $37,000 pair of mono-block power amplifiers that are among what I would call the top five in the industry. 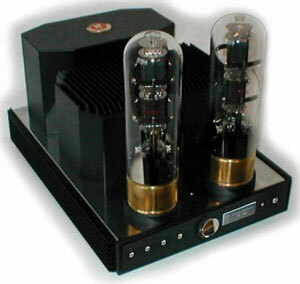 An integrated amplifier at 1/3 the price that holds up extremely well in comparison has to be called a bargain. Hello, reading many KR reviews, I wonder which Kronzilla end amplifiers sounds best?